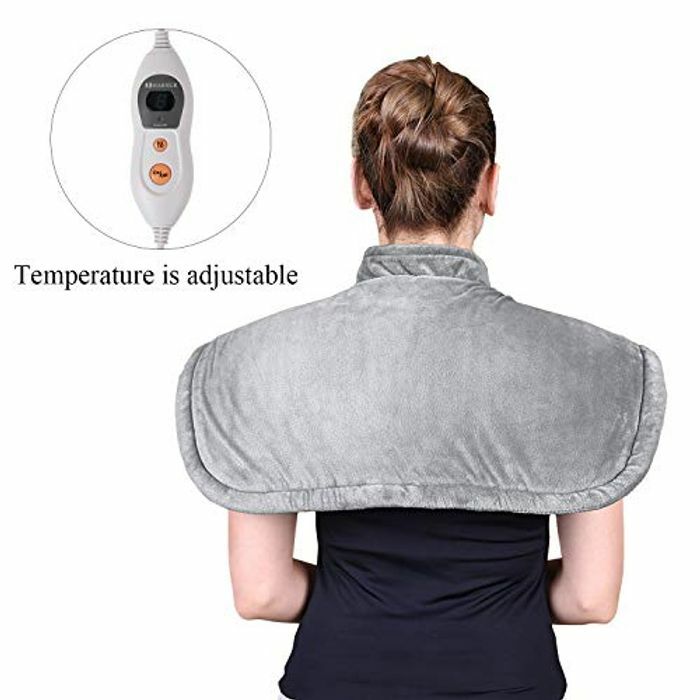 Hands-free & Ergonomic】 The electric heating pad is designed with magnetic clasp and slightly weighted edges to drape around your neck and shoulders snugly for hands-free heat therapy; Its soft structure allows it to be flexibly and ergonomically placed on other different body parts like back, abdomen, and waist for full body relaxation. What's the voucher? None of the promotion messages work alongside this for me. Leeannextx Thank you. Please note, I have updated this post to reflect what the majority of people will be able to buy it for. If it's a deal that requires previous collection of a coupon, you can write that in the description. But so as not to confuse most people who have not collected the previous coupon, we ask for the main price to reflect what the majority can buy it for.